So needless to say I haven’t put together any sort of gift guide but here’s one idea that I’m gonna shamelessly plug - how about coffee + a card? In an effort to slow our lives down with more intention, my hubby and I don’t really do Valentine’s gifts. I don’t mind gifts certainly, but I’m more a fan of words…my love language is words of affirmation after all! So we get each other cards. 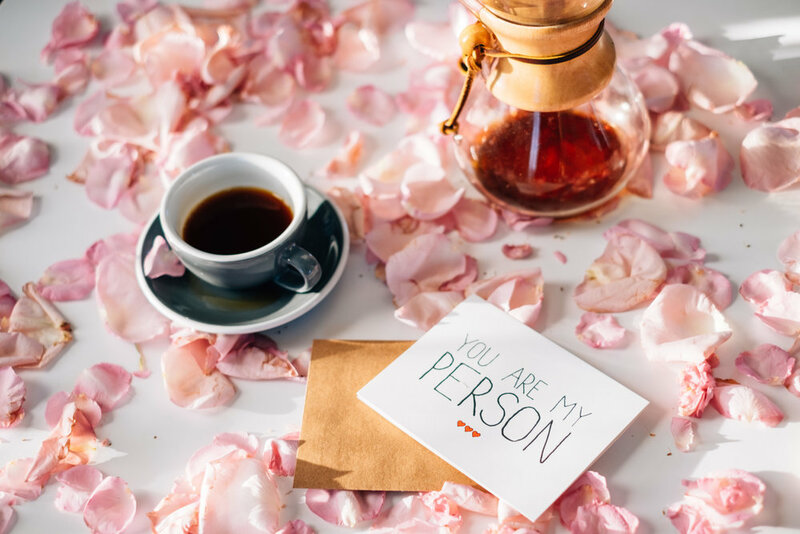 For the past few years, I have bought cards for my man from Unblushing (formally Julie Ann Art) so we partnered with her to offer a coffee package with one of her cards!